Italian sculptor and architect. 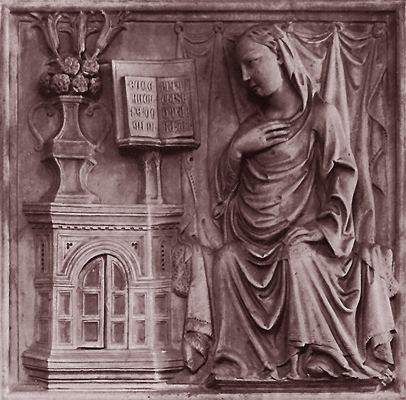 After Wiligelmo and Nicholaus, Antelami was the last of the great northern Italian sculptors working in the cities of the central Po Valley in the 12th century. 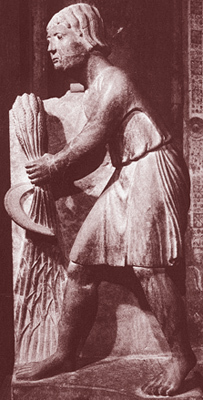 Although he is referred to in the inscriptions as a sculptor, it is probable that he was also an architect, and that he belonged originally, as his name implies, to the guild of civic builders known as the ‘Magistri Antelami’, active in the region of Como. 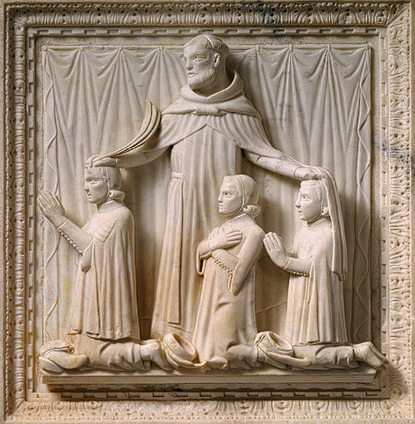 He worked mainly in Parma and its surroundings, although his influence was widespread. 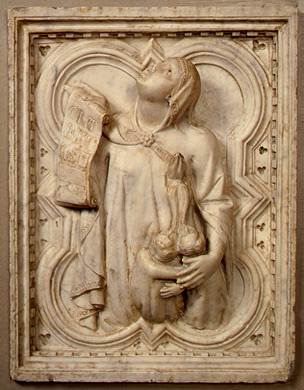 (b ?Pisa; fl 1317/18–49). Italian sculptor. 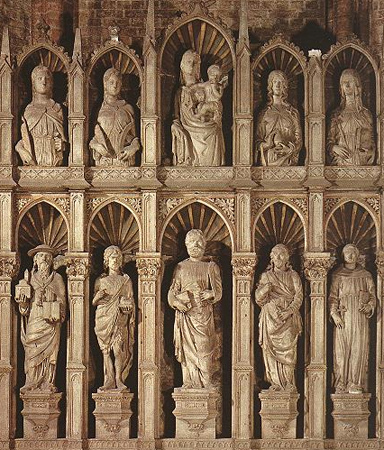 He is first documented in 1317/18 in the cathedral workshop in Pisa, where he was being paid a modest daily wage. 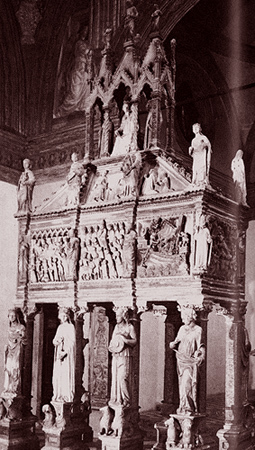 In 1349 he was asked, while living in Milan, to take charge of the cathedral works in Pisa, but he was still resident in Milan towards the end of 1349, and he may have died there soon afterwards. 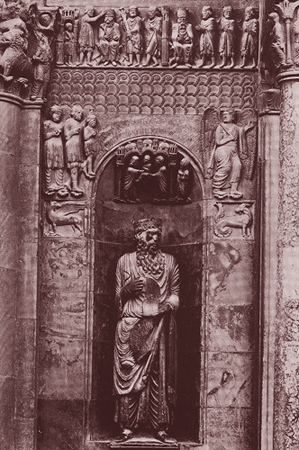 His style is known from four signed works, which have formed the basis for a reconstruction of his oeuvre: the tomb of Guarniero degli Antelminelli (c. 1327–8) in S Francesco, Sarzana; the pulpit in S Maria del Prato in San Casciano, near Florence; the shrine of St Peter Martyr (dated 1339) in S Eustorgio, Milan; and the architrave (1347) from the main portal of S Maria di Brera, Milan (fragments in Milan, Castello Sforzesco). Giovanni developed a distinctive, slightly mannered modelling style based on that of Giovanni Pisano, but he made no attempt to adopt the latter’s powerful plasticity and dramatic expressiveness. 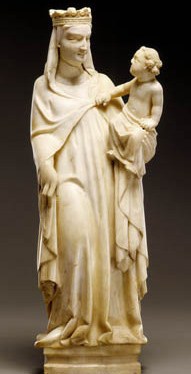 Through his work in Milan, he introduced into Lombardy the formal vocabulary of Tuscan Gothic sculpture, of the kind that had been developed by Nicola and Giovanni Pisano and by such Sienese sculptors of the early 14th century as Gano di Fazio and Tino di Camaino. 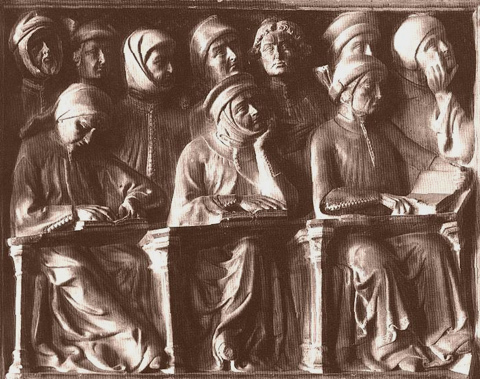 Italian family of sculptors and architects. Jacobello [Giacomello; Jacobellus; Jacomelo] dalle Masegne ( fl from 1383; d after 1409) and his brother Pierpaolo dalle Masegne ( fl from 1383; d c. 1403) were the sons of Antonio dalle Masegne, a stonemason in Venice. They usually undertook and signed their major commissions together, as was the common practice in Venice for family partnerships. However, although there is no documentary evidence to prove it, it is possible to recognize their individual styles in separate sections of their collaborative works.